SCVHistory.com LW2899 | Gene Autry | 'The Strawberry Roan' (Columbia Pictures 1948). 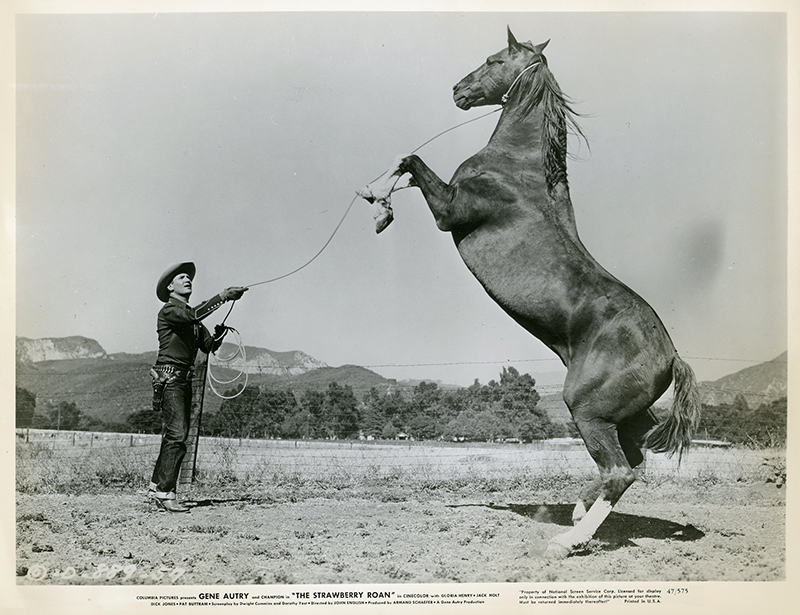 Gene Autry and his horse Champion star in the Armand Schaefer production of "The Strawberry Roan" (Gene Autry Productions / Columbia Pictures 1948). The film was released Aug. 1, 1948; this 8x10-inch publicity still suggests the photograph was shot in 1947 (47/575). LW2899: 9600 dpi jpeg from original photograph purchased 2017 by Leon Worden.